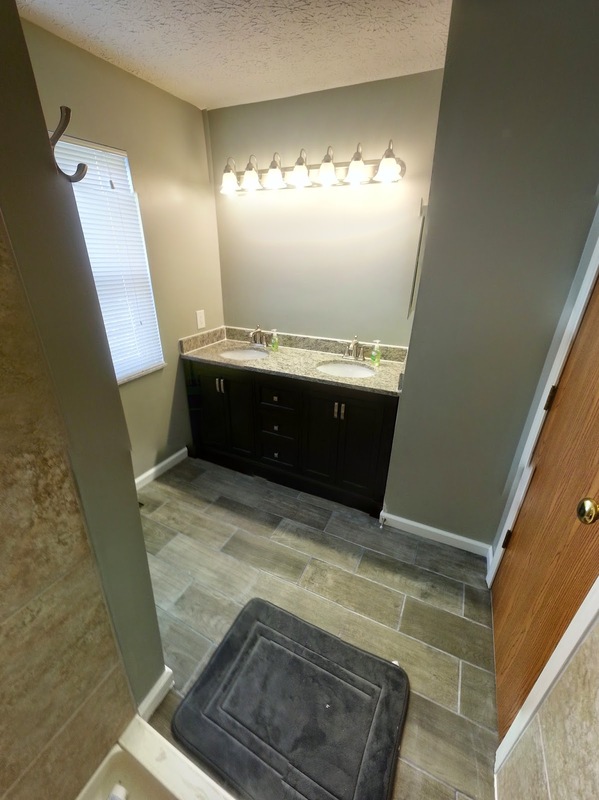 Stuck In The Buckosphere: Before and after bathroom remodel pics... and I have a MOPED AGAIN!!! 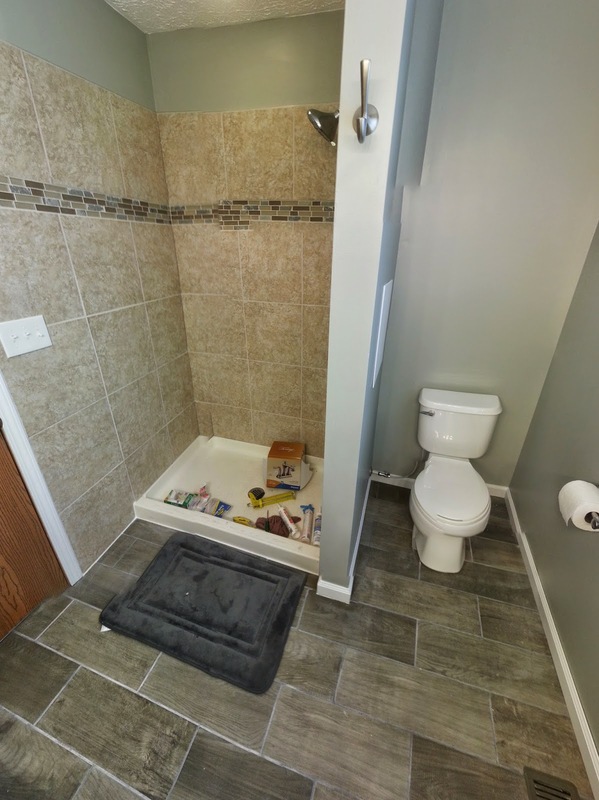 Before and after bathroom remodel pics... and I have a MOPED AGAIN!!! So I knew I wanted to do before and after pics... but I do have to warn you... The after pictures are taken with Google Camera and it tries piecing 9 photos together, so if some of the sharp lines don't line up... Blame Google. But at least it shows you more of the entire area... just not lining up perfectly when it was piecing the photos together. Above is the before pictures of the vanity. So the pic above is with the new vanity. 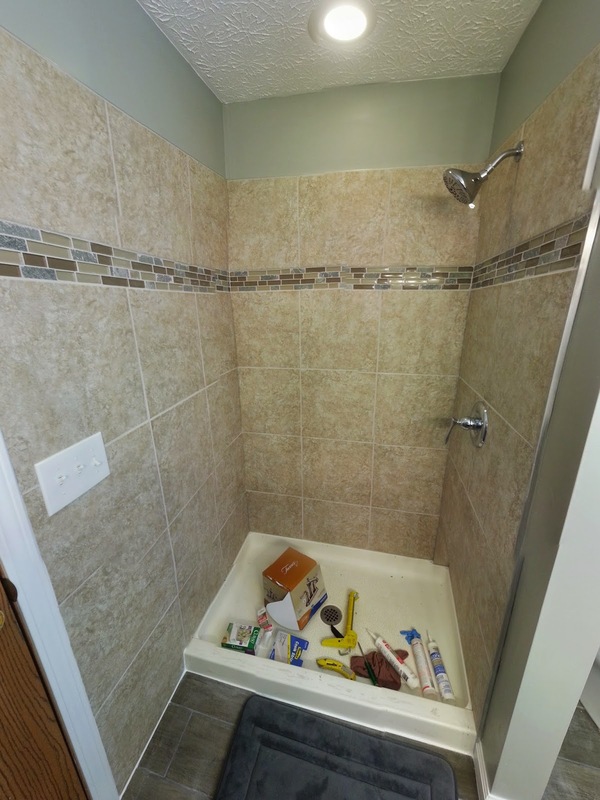 The grout is actually dark gray, but the excess sealer is white until you wash the floor... We also need to get mirrors, but that and the shower door is all that is left. So now, the pictures above is the shower. This is the new shower area. Again, grout is lighter than what it will be once the floor is washed. I went a little heavy on the sealer to make sure the grout is sealed well. Here is a closer image of the shower. The shower door should arrive sometime next week and then I can officially say I am finished once that is installed and Dawn pics out mirrors for the vanity. I figured it out... I spent about 100 hours on the project. Which is pretty good, in my opinion. For anyone just checking this out, feel free to look at all of the progress pics in previous Buckosphere entries. I also have a moped for now... 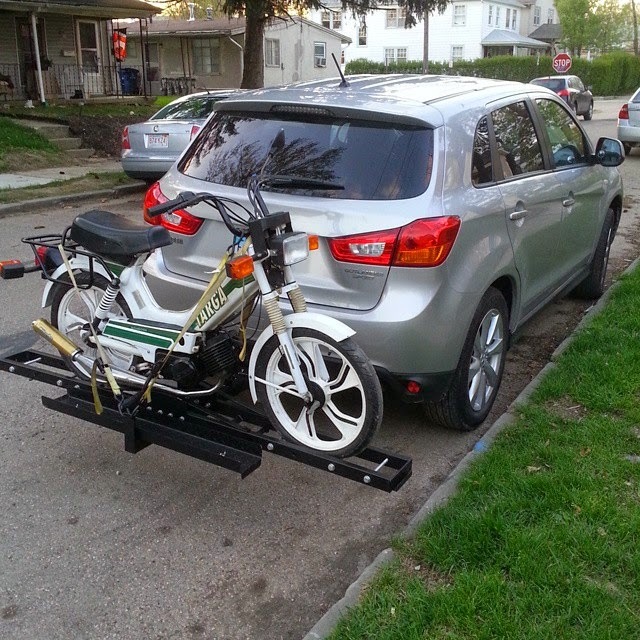 This is my brother's moped, but I am in the middle of selling it for him. I drove up to Cleveland last night and picked up the in-laws patio furniture since they got new stuff. That along with other stuff from Dawn's younger years. Drove back this morning and unloaded the truck myself. Good workout! The week doesn't look too bad. 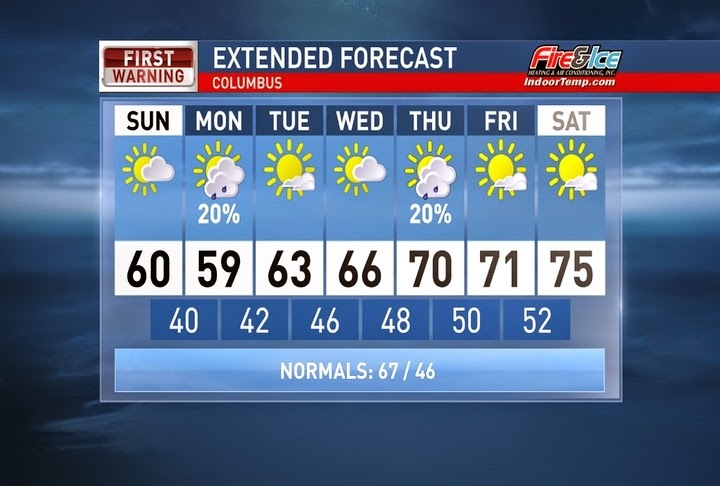 It was a wet Saturday, but the rain will be leaving by midnight Saturday night for most of Central Ohio and then clearing skies through the day Sunday. More clouds Monday with the slight chance of an isolated rain shower. Same for Thursday with a slight chance for rain, otherwise partly cloudy and temperatures on the slow climb back to the 70's by next weekend. Have a good one! Bathroom almost done! Here comes the rain. Tiling is DONE, and so is the rain... for now.